Days of Our Lives' Mary Beth Evans Shares Health News With Fans! 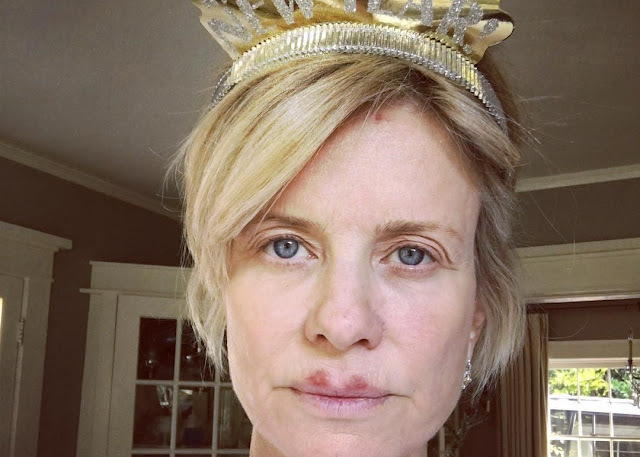 Days of Our Lives fan favorite, Mary Beth Evans (Kayla Brady Johnson) has kicked off the new year with a mission to take care of her health. Evans took to Instagram today to share with fans, "I am spending my entry into the new year by taking care of my health," as she shared a picture of herself with a few spots. Evans went further to share, "I grew up on the beaches of Southern California before sun block was a given. I now keep a look out for odd spots or rough patches. My dermatologist gave me a special cream that eats the spots (possible pre-skin cancer) away. You can see it’s a bit of a wild ride to attack it but you’ve got to do it." Evans ended by asking fans to take care of their skin, "Please pay attention to your skin and listen to your body. See the appropriate doctor, take care of it!" Sending love and positive thoughts to Evans as she takes care of herself during this time. Soap Opera News: Days of Our Lives' Mary Beth Evans Shares Health News With Fans!